Wouldn’t it be amazing if pizzas grew on trees? I mean, imagine if you could simply pluck a pizza from a plant growing in your backyard!? I’d buy that plant. Well, pizzas do not grow on trees…sadly…but the ingredients that we love to eat on pizza most certainly do. 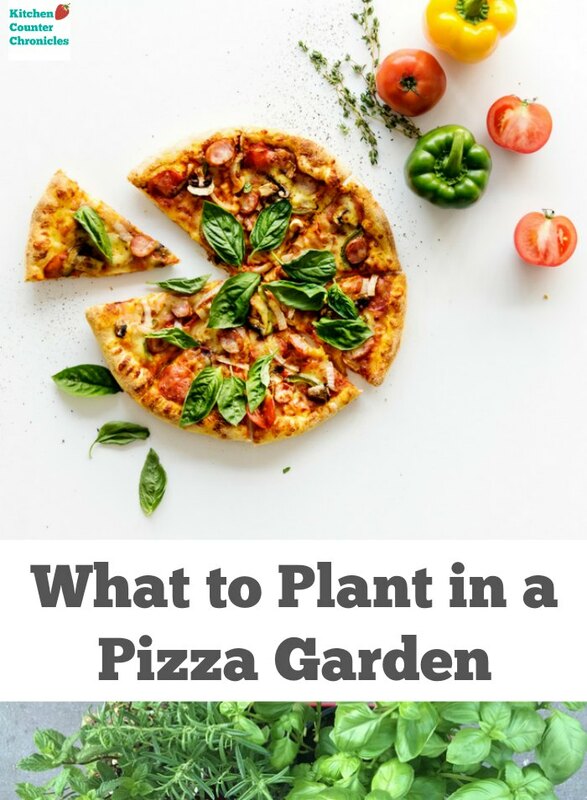 Thus, why not plant a pizza garden? A garden full of everything you love to put on a pizza. This is a super fun way to kick your family pizza party up a notch. We are always looking for fun ways to get kids involved in growing food that they eat. 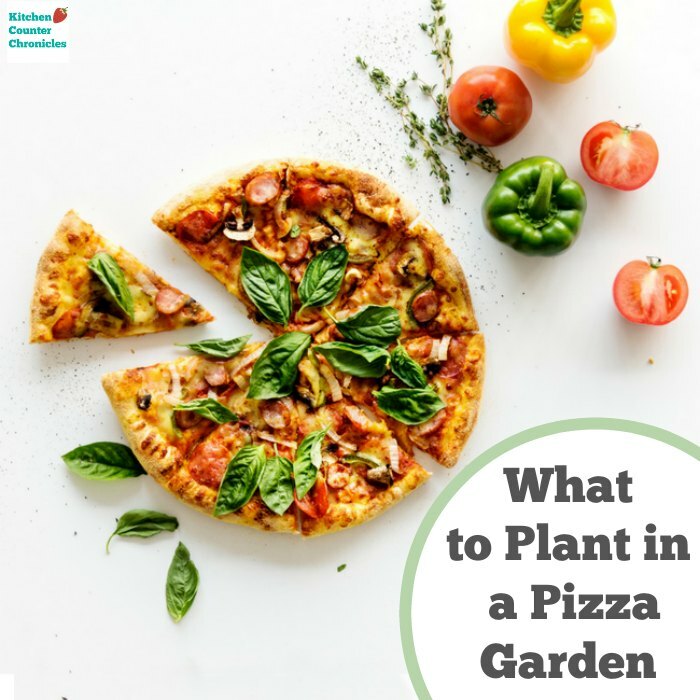 A pizza garden is an awesome way to engage kids outside. What do your kids love to eat on their pizza? Head to the garden centre with your kids and let them choose what you grow. When you’re ready to make pizza, the kids can harvest what you need from your own pizza garden. Every great pizza starts with a delicious base sauce. In our house, there are two sauces that make an appearance on pizza night – pesto and a simple tomato sauce. Plum tomatoes are one of the simplest vegetables (okay, technically fruit) to grow successfully in a home garden. 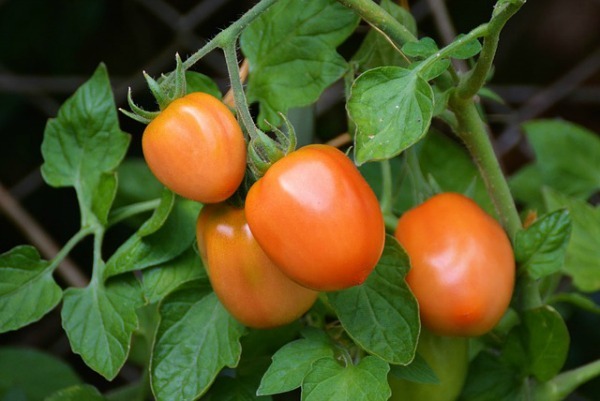 Tomatoes need plenty of sun and a well drained soil – with those conditions you will harvest tomatoes all summer long. Tomatoes will happily grow in a container and on a balcony. Just be certain to tie them to a tomato cage, so they don’t break on a windy balcony. 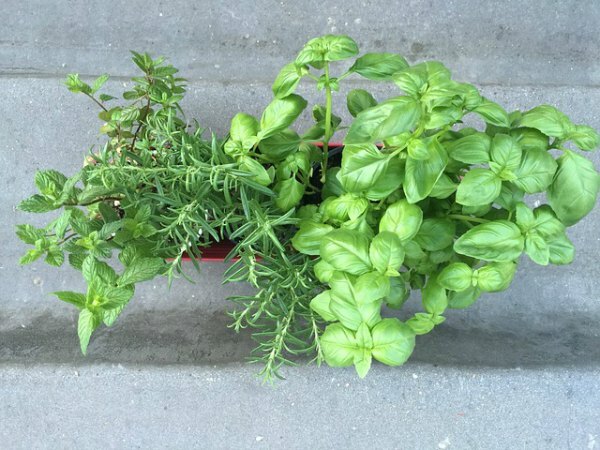 For our favourite pesto, we love growing lots and lots of basil in the garden. Pesto is a combination of basil, nuts, garlic, parmesan cheese and olive oil. 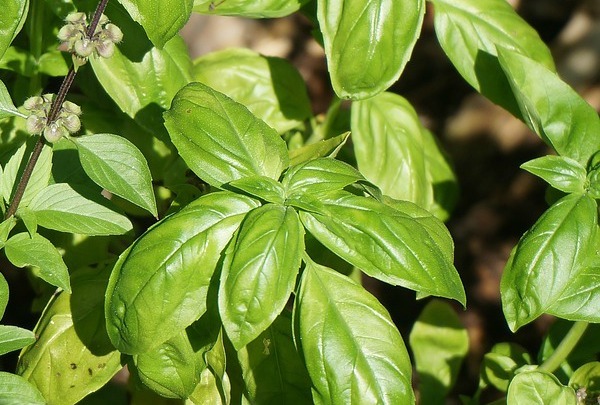 Basil loves growing in a sunny spot and the more you cut it back the more it will grow for you. While we can’t grow olive oil or parmesan cheese in our garden we can certainly grow garlic. In fact, you can start garlic from the bulb that you probably have on the kitchen counter right now. Drop a clove (not the entire bulb) into the soil and you will have a bulb of garlic in no time. Don’t forget to also eat the green stem of the garlic plant – they are packed with garlic flavour. Okay, what else does a pizza need? Bell Peppers! 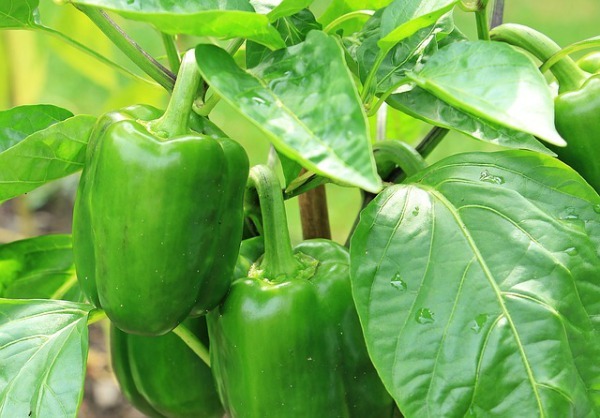 Plant green, red, yellow or orange peppers alongside your tomato plants – they grow very well together. Bell peppers love to soak up the heat and the sun. They will benefit from growing inside a cage structure. You really cannot beat a fresh pepper from the garden. Speaking of peppers, some folks like their pizza on the spicy side. Hot peppers – jalapeno, chili peppers are super simple to grow. In fact, if you grow your hot peppers in a container and you can bring them inside to continue growing all winter long, on a sunny windowsill. Don’t forget that dried peppers are a delicious way to extend the life of your pepper plant. On our pizzas we love lots of fresh herbs. A sprinkle of oregano, thyme and basil will elevate any pizza. Herbs tend to like growing together in a garden. In fact, they can even grow in the same container. Don’t be afraid to give your herbs a good haircut – they will grow more dense the more you cut them back and eat them. Another great addition to a homemade pizza is a big pile of arugula on top. The bitterness of arugula, slightly wilted from the heat of the pizza, make a delicious and nutritious pizza topping. Lettuces like arugula like to grow in partial shade, to sunny spots in the garden. Perfect for a container, arugula make a healthy addition to your balcony garden. If you like mushrooms on your pizza you will find growing mushrooms super interesting. Skip the sunny balcony or garden patch and grow your mushrooms in a cool, dark spot inside your house. How cool is it to have mushrooms growing in your closet?! Finally, a new addition to our family pizza is broccoli. Not a totally traditional pizza topping, broccoli turns soft and sweet when baked on a pizza. Broccoli is easy to grow in a garden, however it does take a long time to grow. 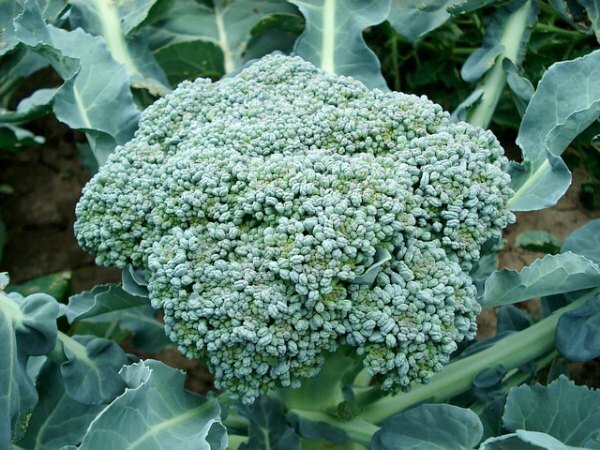 While tomatoes grow quickly – don’t expect to be harvesting broccoli all summer long. In fact, broccoli prefers cooler days which is why broccoli is a great vegetable for fall harvesting. 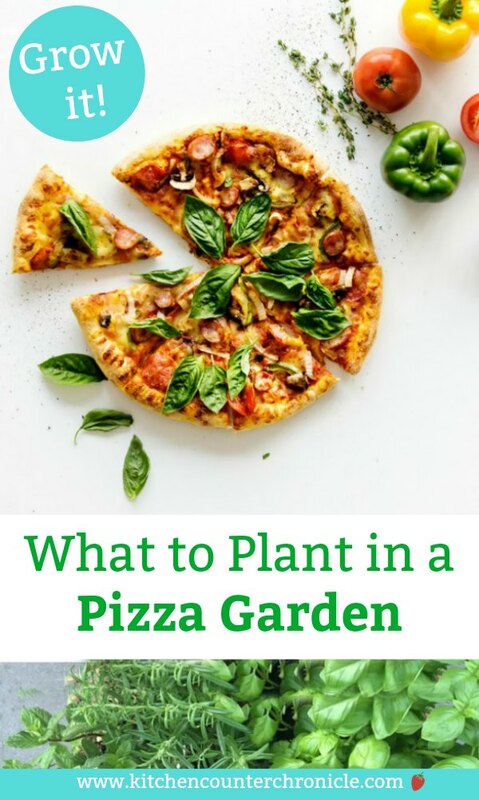 Okay, what do we dream of being able to grow in our pizza garden? 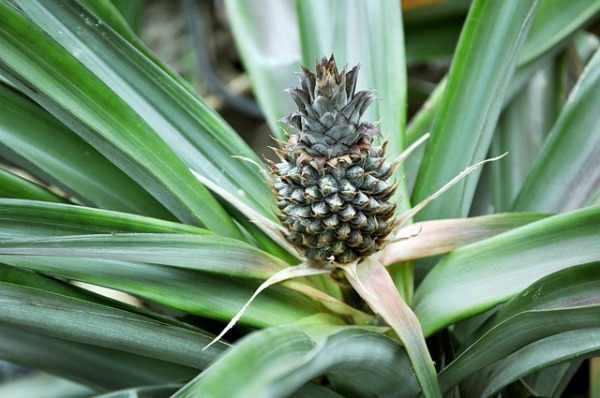 Pineapples – do you put pineapple on your pizza – it’s a Canadian thing. Do you have a special ingredient that you love putting on your pizza? What would you grow in your own pizza garden?